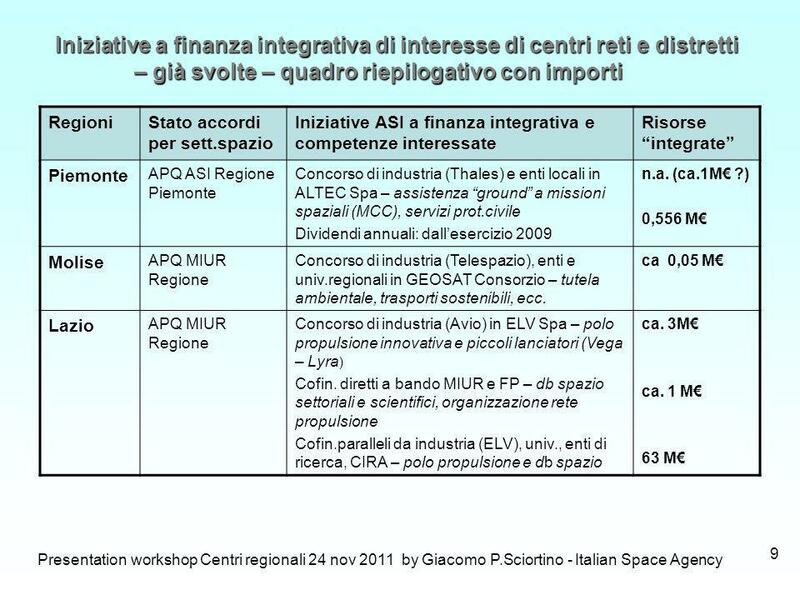 IAC-10.E3.3.13 - THE ROLE OF "INTEGRATED FINANCING" IN THE DEVELOPMENT OF ITALY'S SPACE SECTOR I CENTRI REGIONALI DI COMPETENZE SPAZIALI E IL LORO FINANZIAMENTO. 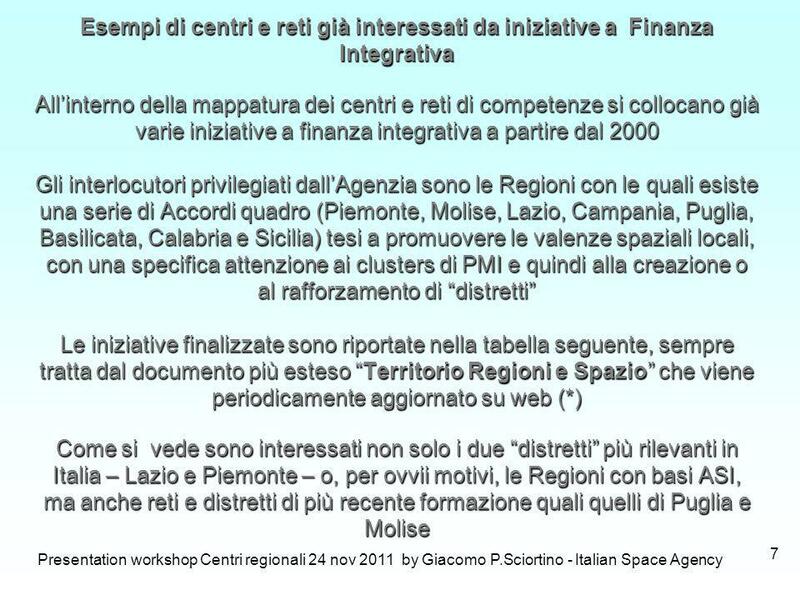 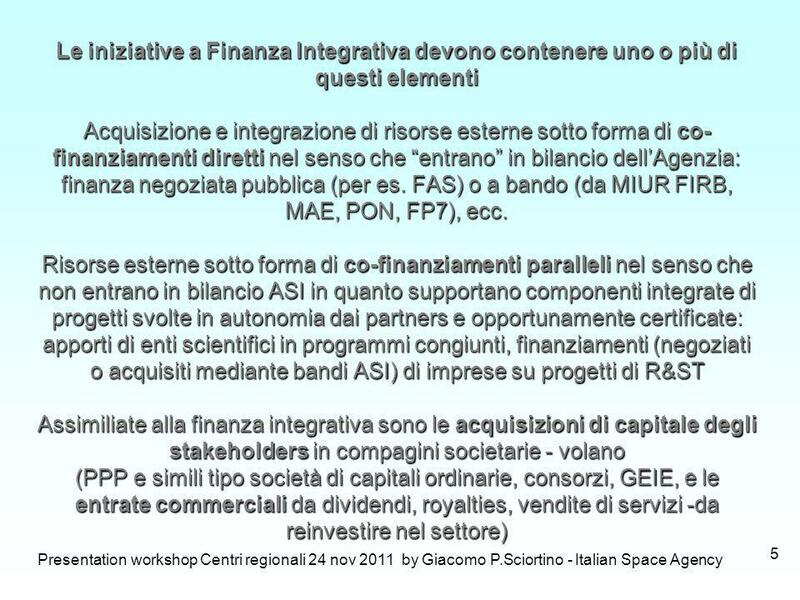 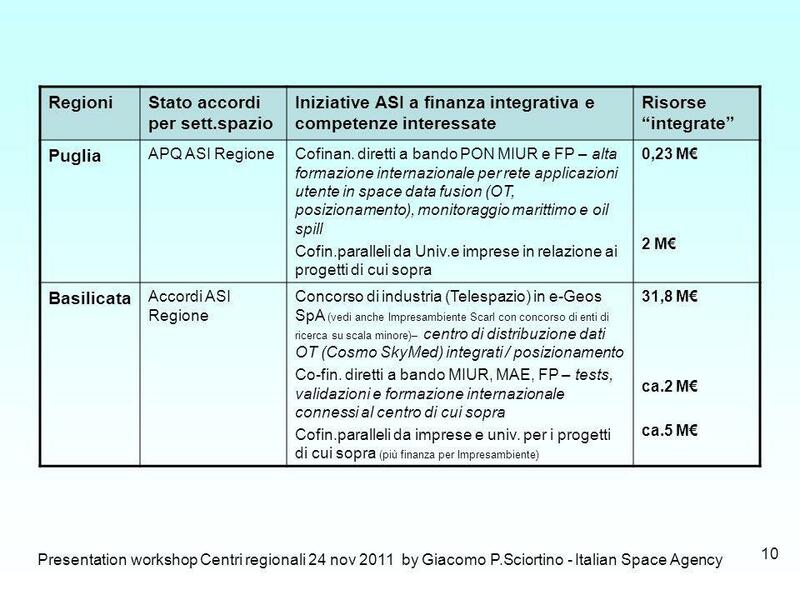 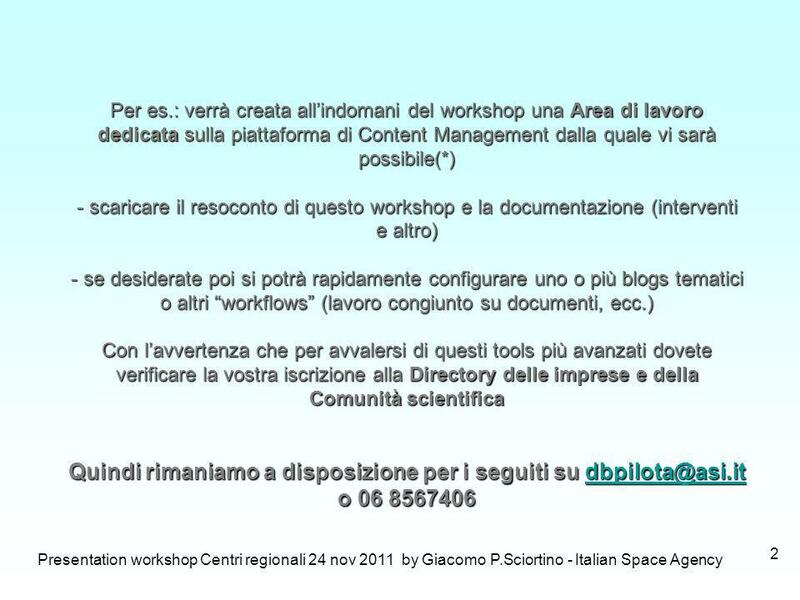 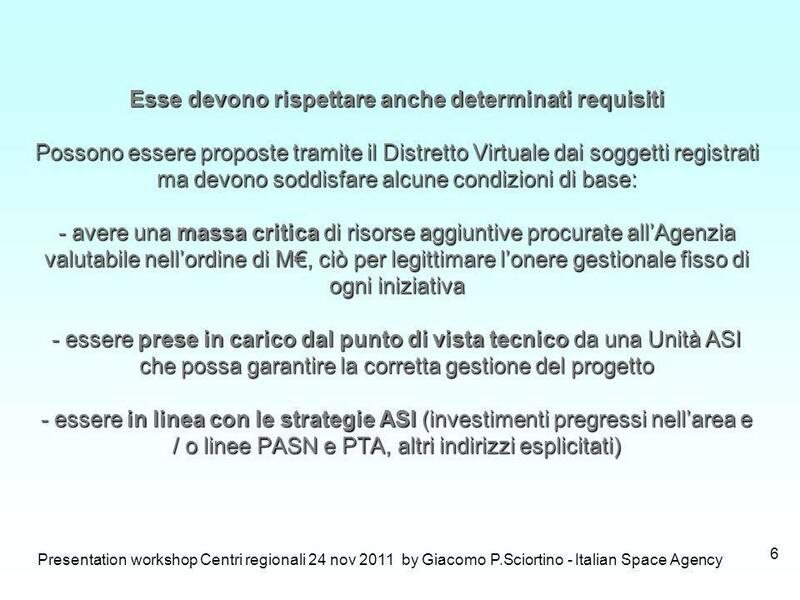 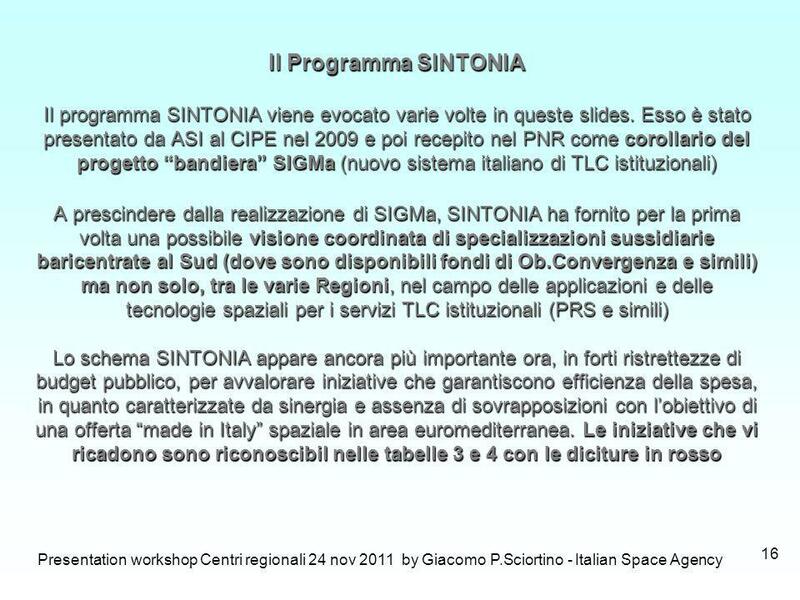 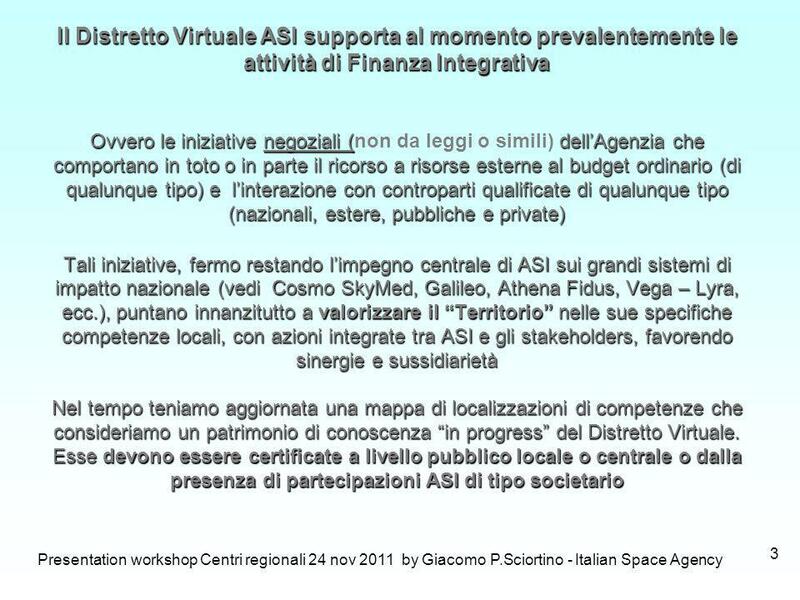 Scaricare ppt "IAC-10.E3.3.13 - THE ROLE OF "INTEGRATED FINANCING" IN THE DEVELOPMENT OF ITALY'S SPACE SECTOR I CENTRI REGIONALI DI COMPETENZE SPAZIALI E IL LORO FINANZIAMENTO." 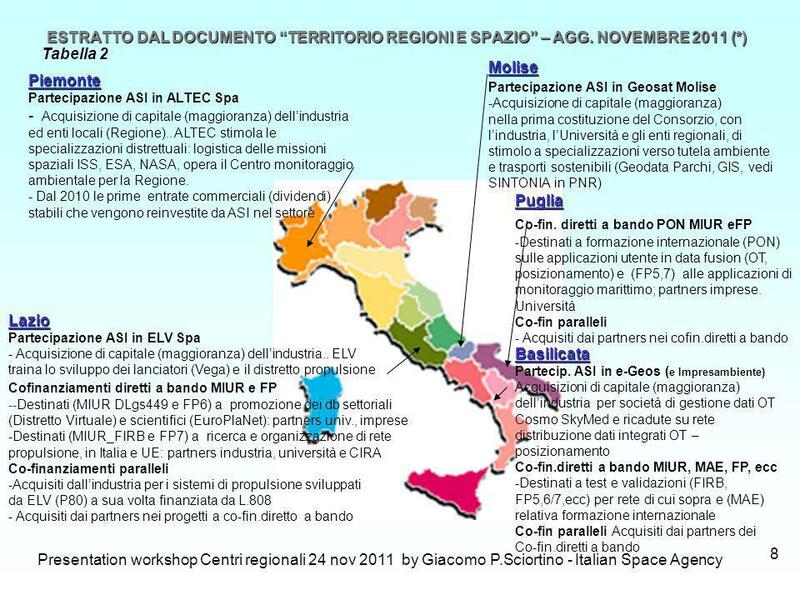 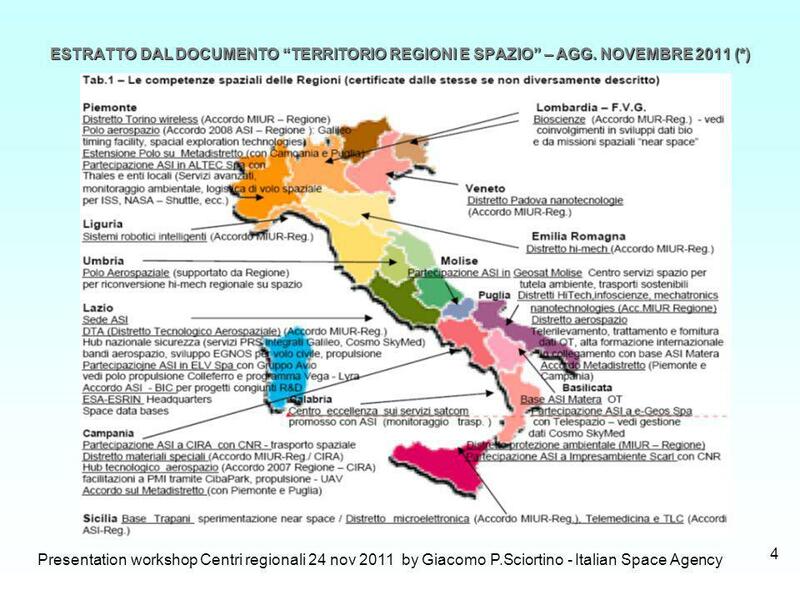 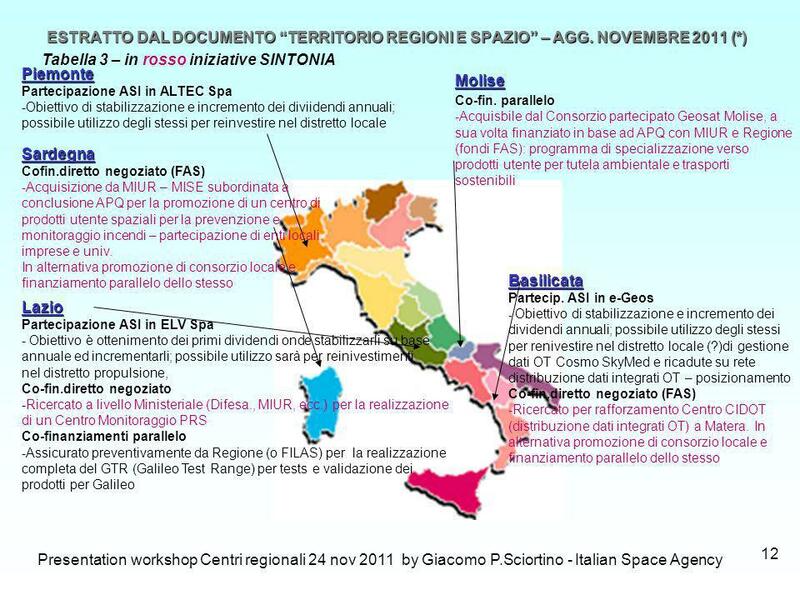 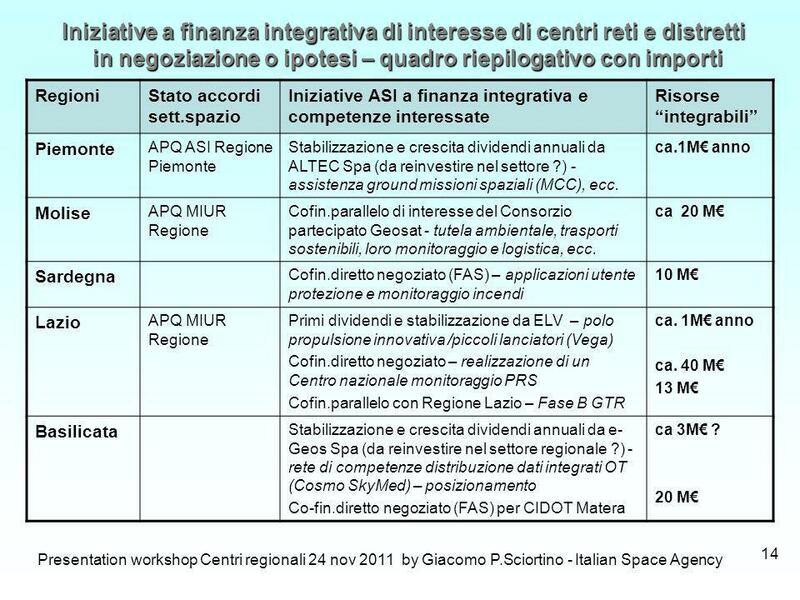 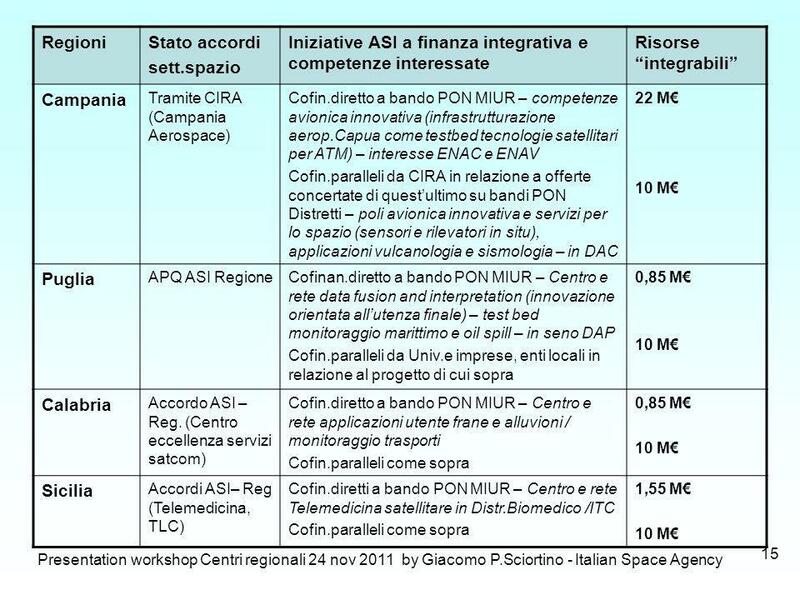 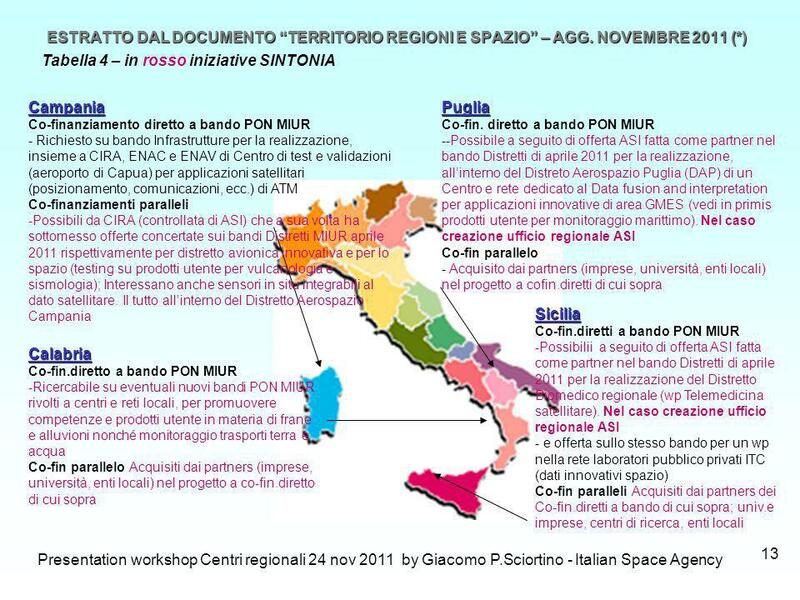 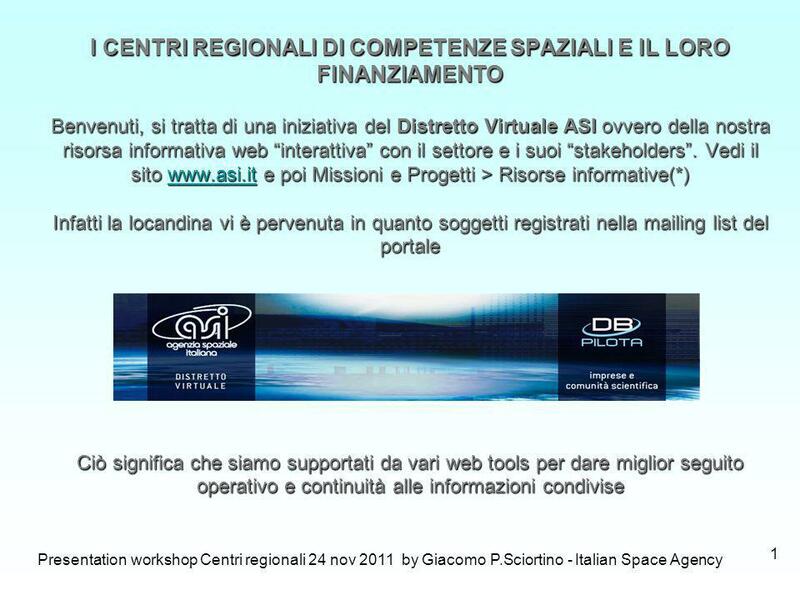 IAC-10.E THE ROLE OF "INTEGRATED FINANCING" IN THE DEVELOPMENT OF ITALY'S SPACE SECTOR I CENTRI REGIONALI DI COMPETENZE SPAZIALI E IL LORO FINANZIAMENTO.